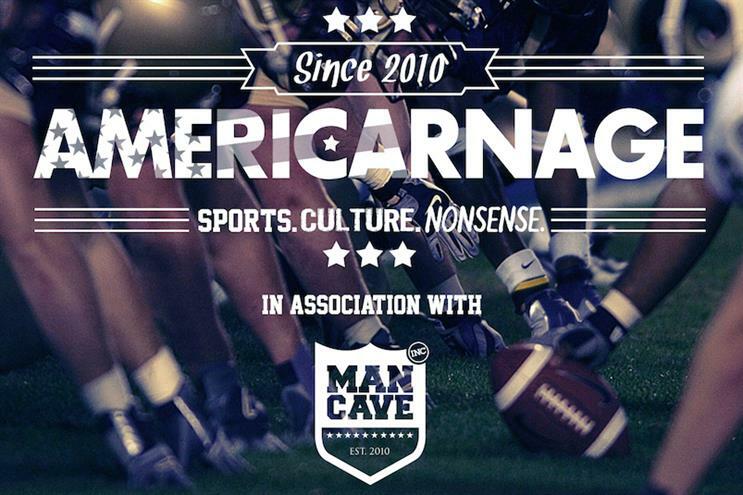 ManCave, the male grooming brand, has signed up as headline sponsor of long-running cult American sports and pop culture podcast Americarnage. The timing has been designed to coincide with the start of the 2015-6 NFL season, a sport which is growing in popularity in the UK and now has three regular-season games coming to Wembley this year. The sponsorship gives ManCave custom-written pre-roll and mid-roll advertising as well as the renaming of a segment of the show to The ManCave Mailbag. The two brands are working closely together on a variety of interactive social-media competitions giving out prizes such as ManCave products. Americarnage hosts Nat Coombs and Michael Carlson started their partnership on NFL on 5 for Channel 5, moving to Channel 4 for the NFL Sunday night games and collaborating on national coverage of the Superbowl as well as individually appearing regularly on BBC television, Talksport, ESPN, 5Live, Al Jazeera and many other outlets. Alex Grogan, managing director of ManCave, said: "We’re a UK business which is established in the US already and big fans of the NFL. We love how fast the following is growing in the UK and to work with Americarnage, Nat and Mike with their TV and radio heritage makes perfect sense." The podcast is run by Me:Mo TV, the production arm of Digital PR firm Me:Mo Interactive.